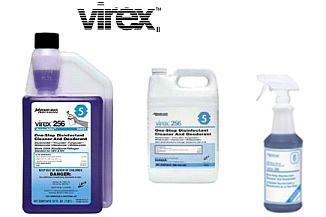 InVade Bio Zap is an extremely versatile, ready-to-use microbial liquid. It can be sprayed on carpets, walls, and fabrics to eliminate odor from pets, smoke, excrement, and other organic matter. InVade Bio Zap can also be sprayed into garbage receptacles, urinals and other bathroom areas to digest scum and eliminate odor. For management applications, spray in cracks and crevices and on surfaces where scum build-up. Organic odor resulting from mold, mildew, or animals can be eliminated by spraying InVade Bio Zap on gravel or soil surfaces, crawl spaces, concrete in basements, and garages, or insulation in attics. The addition of citrus oil provides a fresh scent. InVade is natural, biodegradable and non-pathogenic. 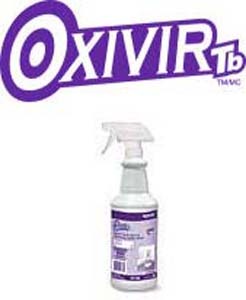 The microbes used in InVade Bio products are a multiple spore blend designed to provide exceptional performance over a wide range of organic waste-related applications including drain lines, grease traps, hard surface cleaning and deodorizing, septic and waste treatment, as well as carpet and fabric care. The strains were selected for their superior enzymatic activity over a wide range of organic substrates including proteins, carbohydrates, fats (grease), and cellulose. Their combined synergistic value is demonstrated in enhanced cell growth, germination rate, and effectiveness. Spore-forming microbes are superior in that they are more resistant to chemical cleaning agents. While the bacteria can be killed by chemicals, the spores survive and can again produce bacterial colonies when conditions become favorable (e.g. the chemical is rinsed away). Spore forming microbes will perform in both aerobic and anaerobic environments. When the spores come in contact with their food source (the target organic matter), they generate bacterial colonies which digest the organic matter. The spores consist of Bacillus strains (multiple), with no detectable Salmonella or Shigella. Strains are included which produce Lipase, Protease, Amylase, Cellulase, and Urease enzymes with aerobic and facultative anaerobic pathways. They are effective at a temperature range of 38-145F. In laboratory tests, the microbe counts double in 20 minutes when in contact with their food sources. They will perform in a pH range of 4.5 to 8.5. They are stable for two years if stored in the range 35-95. In laboratory tests, the spores have been found to have 98% activity after freezing and rethawing.